1. 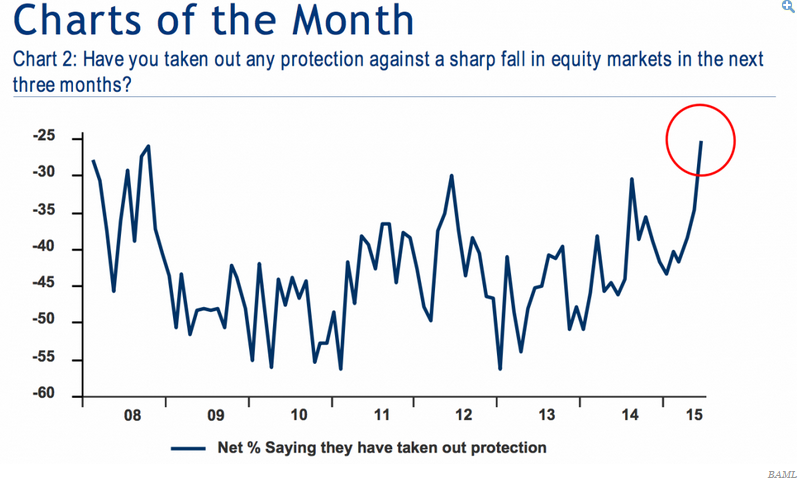 Number of fund managers that have taken out protection against a market slump hit a record high. 2. 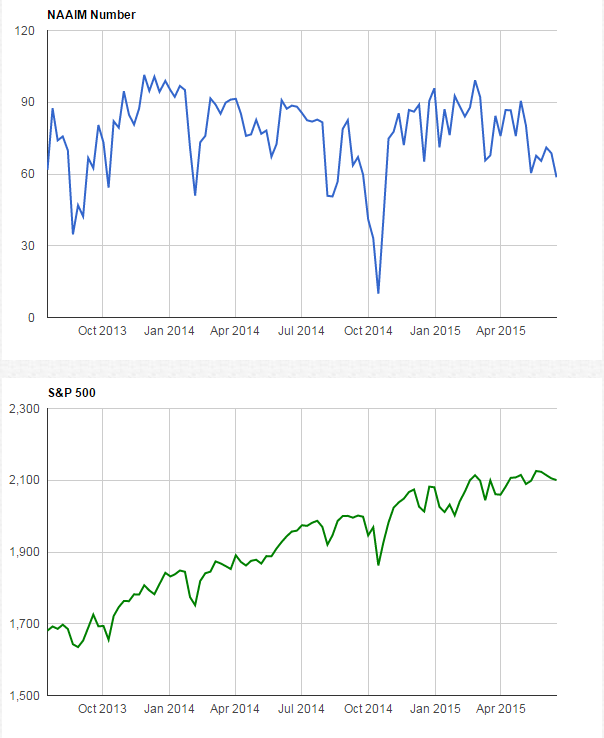 The National Association Of Active Investment Managers Exposure Index (NAAIM) shows a similar story. 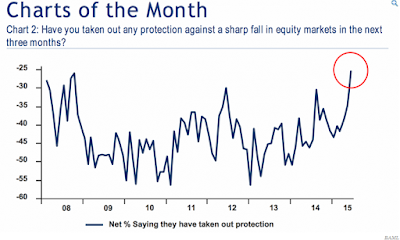 Active managers have the least amount of equity exposure since the October swoon, all this while the indices are near all time highs. 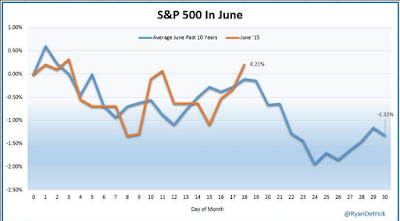 Investors Intelligence survey and the American Association are showing the same lack of enthusiasm for the market. 3. 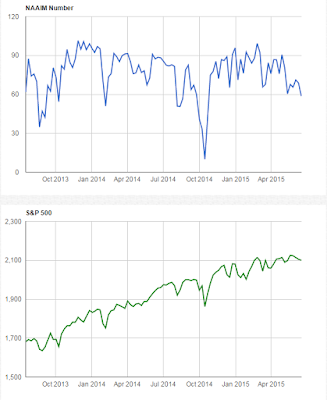 We also have a record amount of hedging along with the largest percentage of shares short in the SPY at 8.5%. 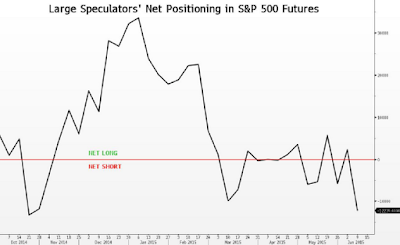 Large speculators held about 12,000 more short positions in S&P 500 futures than long ones through June 9, according to data compiled by Bloomberg and the U.S. Commodity Futures Trading Commission. 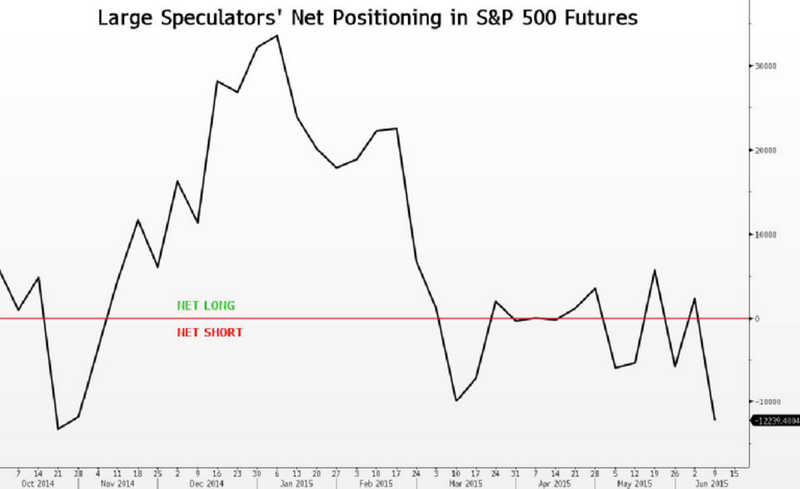 That’s the highest amount of bearish bets relative to bullish ones since the five days ending Oct. 24. 4. We are also aware of how the last 2 weeks of June are historically not so bullish. Bottom line; Either a whole bunch of market participants will be right about a possible correction or a bunch of market participants will eventually have to chase price if the market continues to climb the wall of worry. A Stock On Your Watchlist Gapped Up, Now What?